We have 27 consumer reports for Ranitidine. 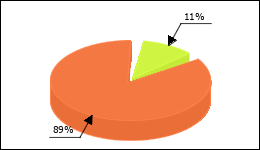 Diarrhea effect occurred in 11%. I got prescribed Randitin 300mg by the internist, nervous stomach. Take these for 5 days now. The first was severe tiredness and a slight headache. Meanwhile, nausea with loss of appetite, mild diarrhea and depressive moods. Can it be that I get diarrhea from ranitidine? I took the tablets for 7 days against too much stomach acid and nausea. After about 3 days I got a dry nasal mucosa with a headache. Again, there were mild nausea and diarrhea with dizziness and tiredness.